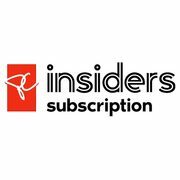 Loblaw Company Ltd. recently launched a new paid subscription program called PC Insiders. Members receive a bunch of special benefits like no-fee grocery pickup, PC Optimum Point bonuses, free shipping at shoppersdrugmart.ca & joefresh.com and more. The annual subscription is regularly $99/year before tax and that works out to $49.50 with the special promo code below. You can find out more about the PC Insiders program in our article here which breaks down all the benefits and if it's worth your while or not.